Easy-care material that endures, naturally! Carry a nice load with no worries, thanks to this durable but lightweight cotton sheeting bag. Load up on books, beach essentials or kids belongings and head out! Longer 28” self handles make it easy to sling over the shoulder and go. 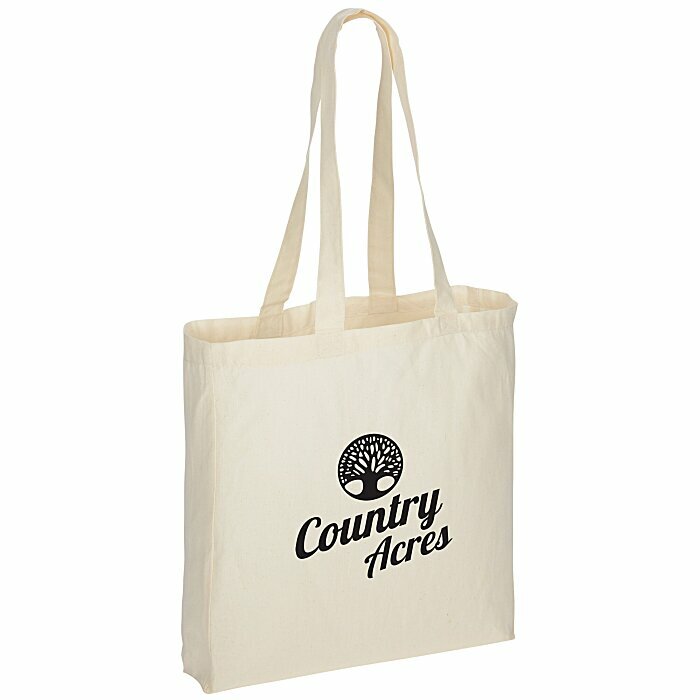 For Colored tote, please see item #1922-CGusseted Cotton Sheeting Tote - Color. Size: 16” x 15”x 3”. Set-up charge: add $30 per color/location.